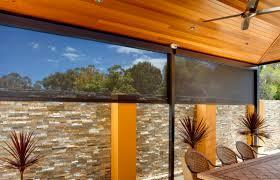 Zipscreen blinds alfresco blinds offer protection from the sun (including UV rays), rain and wind. The zLOCK technology provides a complete seal along the edges, allowing you to shut out insects and debris. these versatile and stylish blinds can be installed flush to windows or pergolas enclosing your area from the sun, mossys and wind. 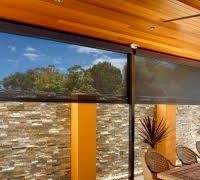 With a motorized or manually controlled crank gear or spring, you can enjoy nature in complete comfort with these sleek, stylish sunshade blinds. also available in a Zipscreen extreme for the ever popular alfresco areas being built where you need a larger expanse covered. the zipscreen extreme has got you covered. 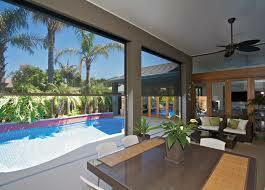 for all your outdoor living blinds needs we can help you. 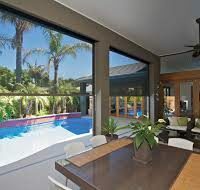 Seamlessly integrates into existing outdoor décor.